QUEZON CITY, Philippines – Disaster officials have raised the highest alert as typhoon Mangkhut draws closer to the Philippine area of responsibility (PAR). ‘Mangkhut,’ which will be called ‘Ompong’ once it enters PAR on Wednesday, is threatening to bring heavy rains and may intensify into a super typhoon as stated earlier by the state weather bureau PAGASA. Under red alert, all concerned agencies are tasked to prepare for the typhoon and send representatives to the National Disaster Risk Reduction and Management Council (NDRRMC) operations center. 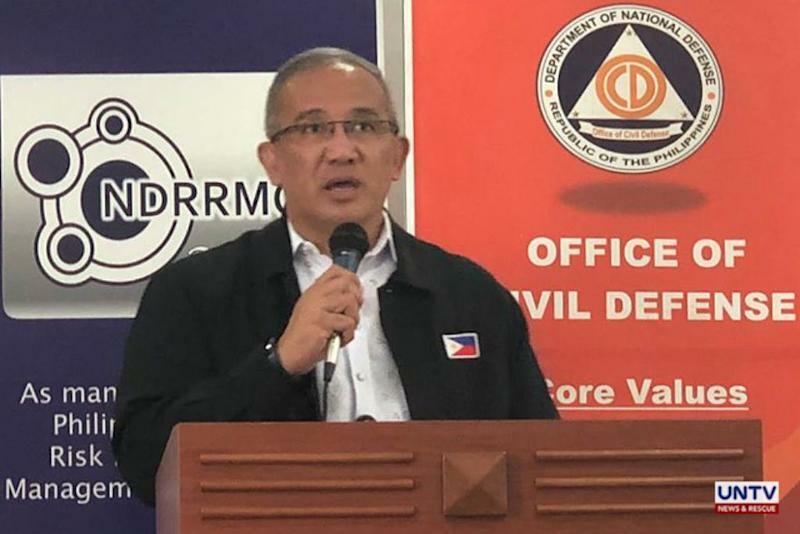 According to NDRRMC Spokesperson Director Edgar Posadas, a pre-disaster risk assessment meeting was conducted last night with concerned agencies at the Camp Aguinaldo to brace for the possible onslaught of ‘Mangkhut’. Relief food packs and rescue equipment have been pre-positioned in northern and central Luzon, particularly Regions 1, 2, 3 and the Cordillera Administrative Region (CAR), expected to bear the brunt of Mangkhut’s impact. “The prepositioning of goods sa mga affected areas we were assured by the pdrmo of batanes … That they have sufficient supply especially of rice they 2004 sacks in standby at sapat pa namandaw po ang kanilang food at non-food items,” said Posadas. Posadas also noted that a standby fund amounting to P1.7 million has been alloted by the government for regions that might be hit by the typhoon. “There are already areas in northern luzon na makararanas na makararamdam ng malakaslakas na than the usual na pagbayo ng hangin nya at tsaka pagulan and this are the provinces of Cagayan, Isabela, Apayao, Kalinga, Abra, Ilocos Norte, Batanes and Babuyan Islands,” he added. The post NDRRMC urges public to brace for typhoon ‘Mangkhut’ appeared first on UNTV News.